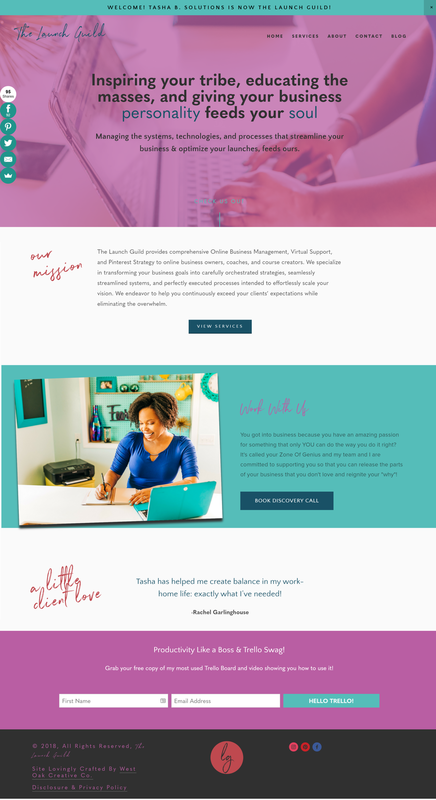 The Launch Guild is a high-energy, high impact Online Business Management Agency that delivers productivity and professional growth to their clients without missing a beat! 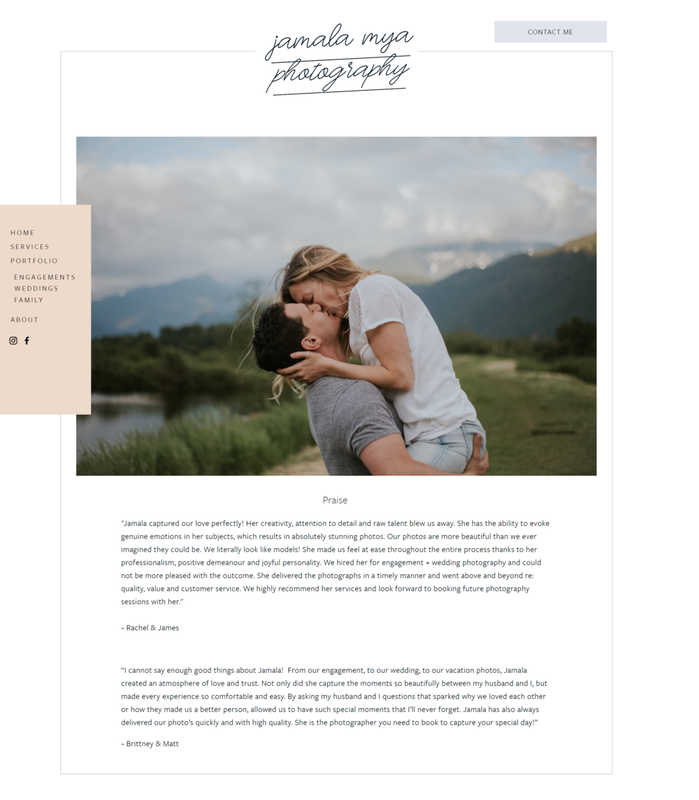 From launches and Pinterest Maintenance, to Operations and Content Management, their team adopts an upbeat and colorful approach to taking care of business- which made designing a bright, bold website, friendly copy, and a handwritten logo a no-brainer. The perfect marriage of fun and functional, The Launch Guild's website shows of their personality while delivering comprehensive information about the agency's wealth of expertise. The Launch Guild provides comprehensive Online Business Management, Launch Strategy, and Pinterest Management services to podcast creators, online coaches, and small business owners. We specialize in transforming your business goals into carefully orchestrated strategies, seamlessly streamlined systems, and perfectly executed processes intended to effortlessly scale your business. We endeavor to help you continuously exceed your clients’ expectations through carefully constructed packages and prompt, personable service. Christina Sicoli is an accomplished actress with a roster full of roles and accolades (you may have heard her on Nickelodeon). In addition to her notable entertainment experience, she is an absolutely phenomenal artist- creating one of a kind pieces that are so fun and soulful. 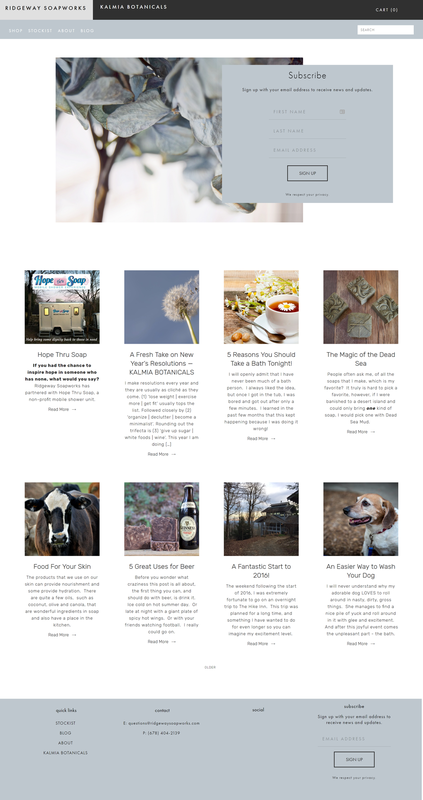 When she felt like her website wasn't quite a reflection of her personality- she put me to work. As a nod to her work, we adopted a very clean, minimalist, script-like aesthetic and incorporated bold, fun head-shots for an interesting juxtaposition. We also established a bright, fun shop to house all of her available art pieces. I understand you! Between invoicing, expense tracking, managing ongoing projects, and making efforts to continually grow your enterprise, you’re struggling to unwind and smell those success-nourished roses. Your business has evolved from a single honeycomb brimming with passion to an industrious beehive rich in profits and opportunity. Your deep connection to your business makes acting as the hardest working bee second nature, but just like any prosperous hive you cannot do it all alone (....) I offer an enthusiastic approach to meeting the problems, time-constraints, and administrative responsibilities that accompany entrepreneurship, with inventive and efficient solutions. I endeavor to optimize your time, assume your workload, and make sure your business is still producing honey even when you’re away.